Todays exercise is the incline barbell bench press but with a twist because doing the same thing gets you the same results. The twist is your going to hit 25 reps in as little sets as possible, this is a real burner and your going fell it the next day! 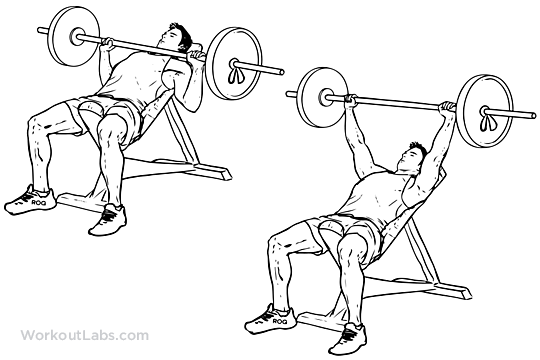 We then like to add more weight and hit that for as many reps as possible to finish out the upper chest.